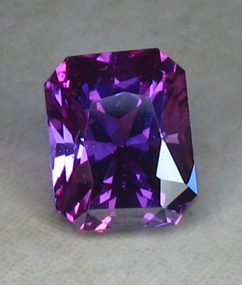 This particular gemstone was discussed with another Gemologist (degree from GIA and an appraiser north of Boston). 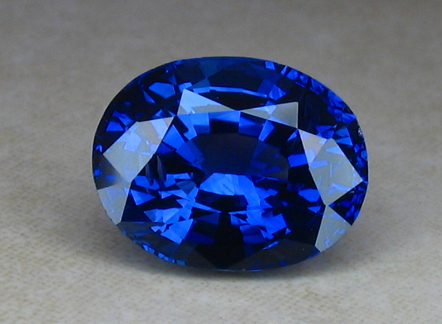 He also thought it a unique gem and was surpised to see that one could call it a Sapphire or even a Ruby - dependent on the lighting. 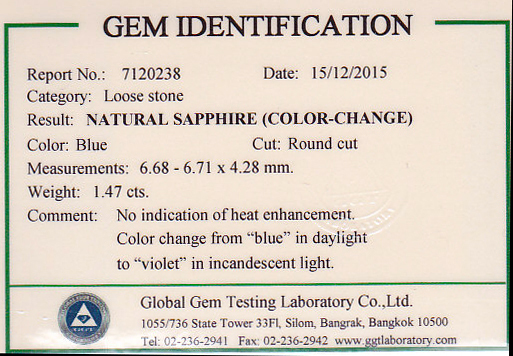 This gemologist believed that GIA would note the color change/shift. 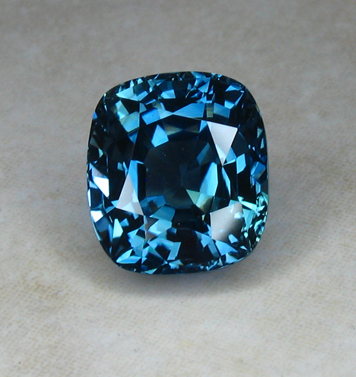 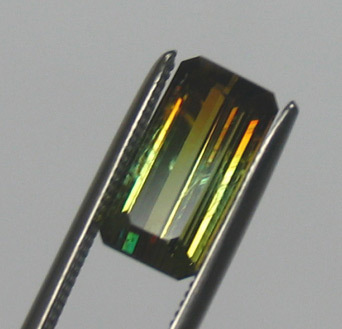 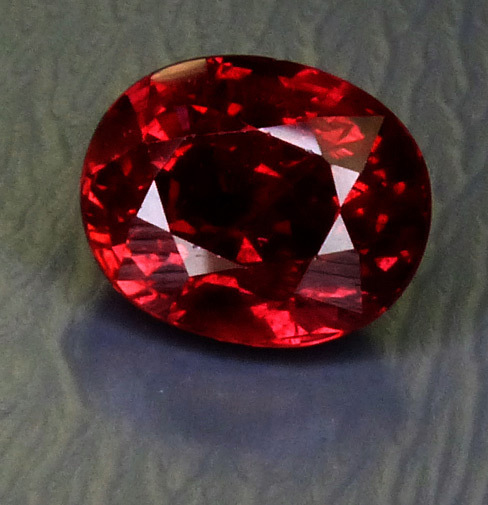 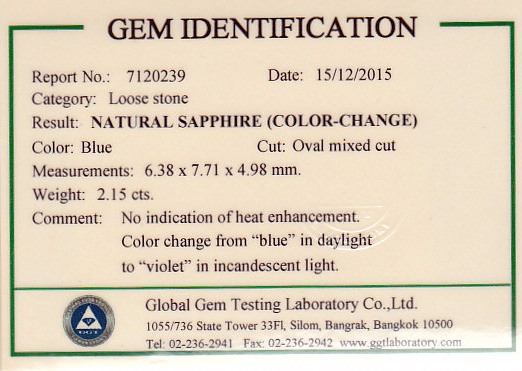 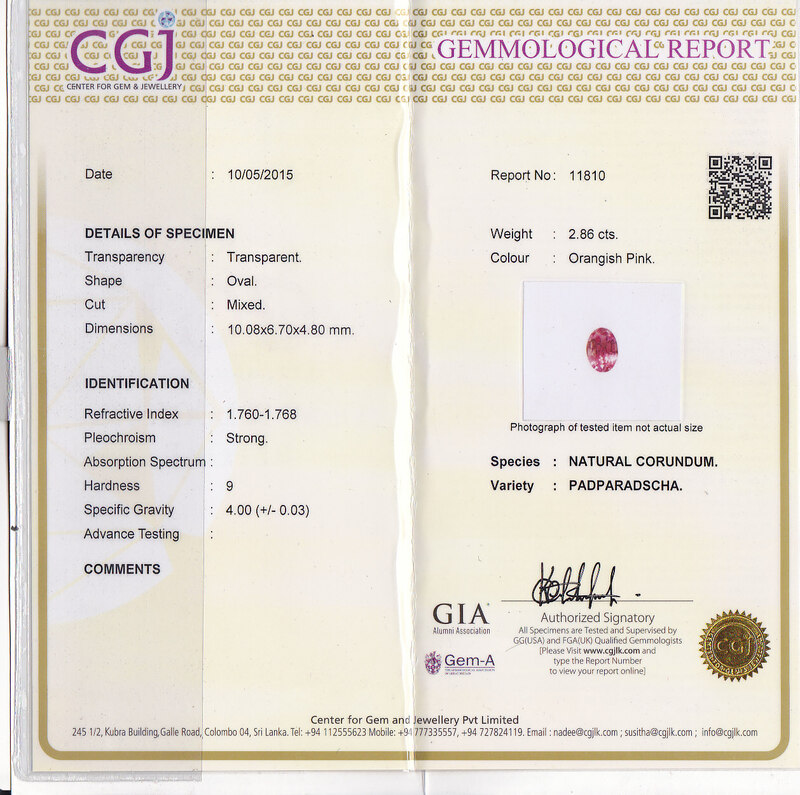 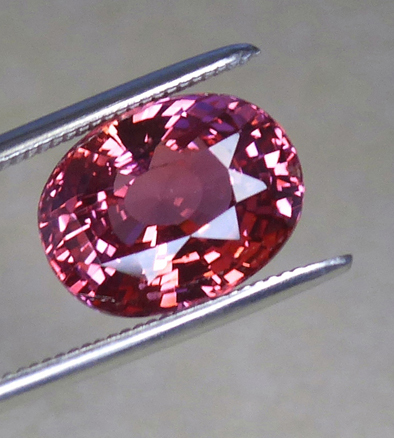 After receiving the gem back from GIA, the owner of All That Glitters called the GIA Gem Lab to see why this characteristic wasn't noted on the cert. 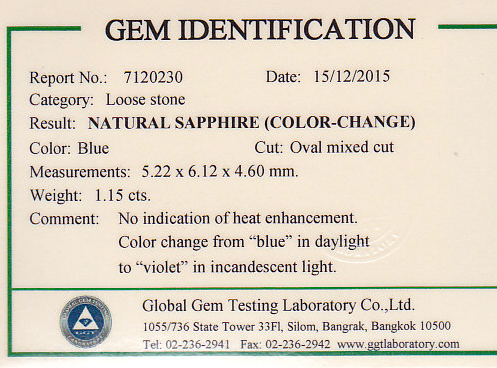 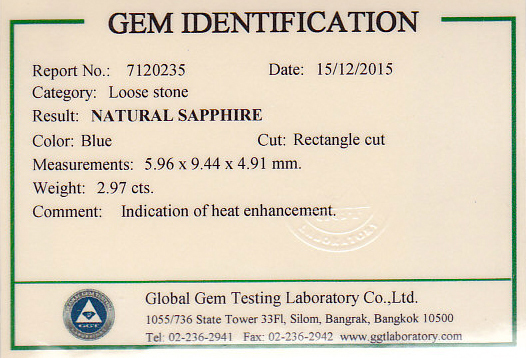 We were put in touch with a person whose specialty is colored gemstones within the lab and he indicated that he remembered the gemstone and that internally, they had discussions on this very piece, comtemplating what the cert should be and what the content should read. 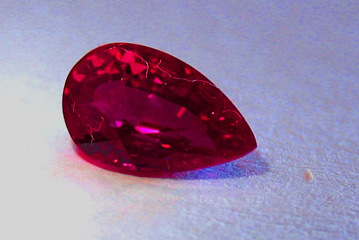 It was also noted that the gemstone displayed a Reverse Color Change/Shift - another physical property that just adds more interest and rarity to the piece! 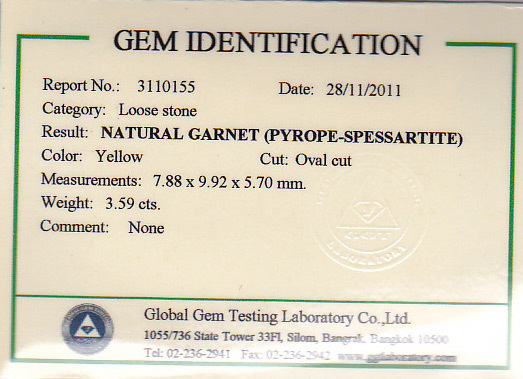 In discussing my observations and hearing thoughts within GIA, the gentleman within GIA requested to have the gemstone sent back in for further discussions as more lab members would be brought into the discussion(a key player was traveling internationally when this gemstone was in the lab) so as to create a more accurate report. 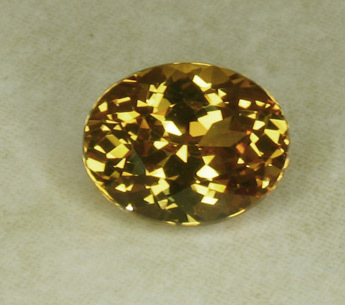 All That Glitters will be taking this piece to Tucson and will meet with the director (and others) of the GIA Gem Lab and will allow them to take it back to Carlsbad for further study, investigation and discussions. 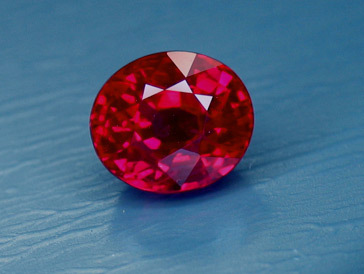 For some, this gemstone causes a dilema - how can a faceted Corundum be both a Sapphire and Ruby? 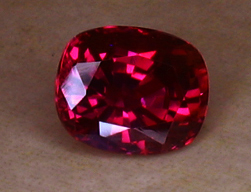 Rather than issuing perhaps a Sapphire or Ruby Report, perhaps identifying it as Corundum, with a color change/shift from Red to Purple depending on lights/wavelengths available, and with a comment indicating that this is a color change or color shifting Natural Corundum (No Heat) and that it may be called a Sapphire under some lights or a Ruby under others, could indeed cover all bases. 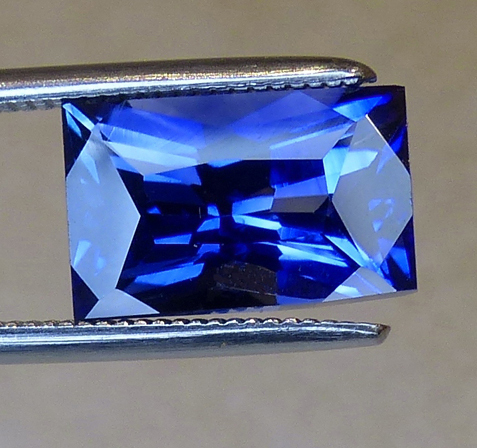 If someone would like to purchase this beauty prior to Tucson 2016 (late January/early February) they are welcome to send the piece into the GIA Gem Lab - we will provide our contact information within the GIA Gem Lab. 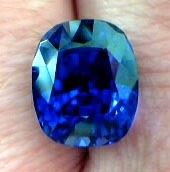 Our GIA contact is expecting to receive this piece again sometime in the future. 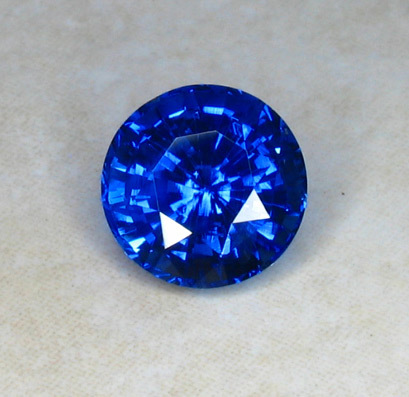 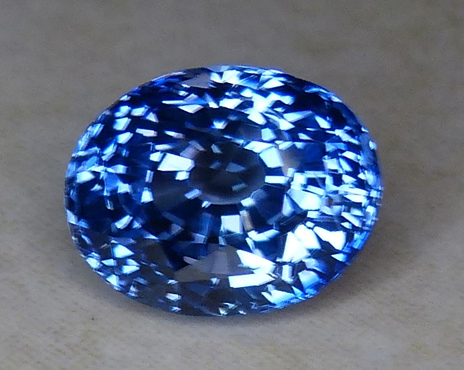 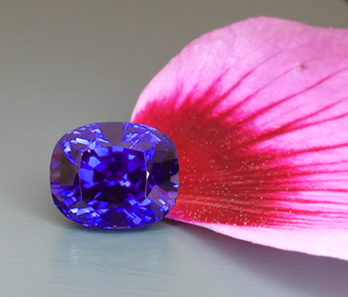 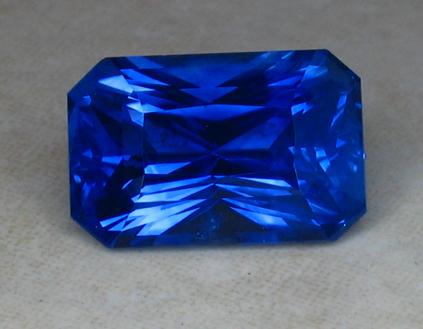 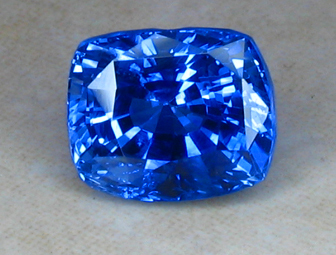 A very lively and super color of a Sapphire. 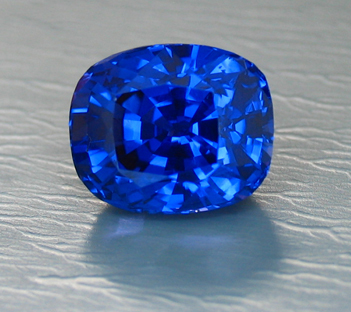 When examined under power there was an internal crystal that popped out during the cutting process, which is often the case in Sapphires and Rubies - and that can happen anywhere in the gemstone. 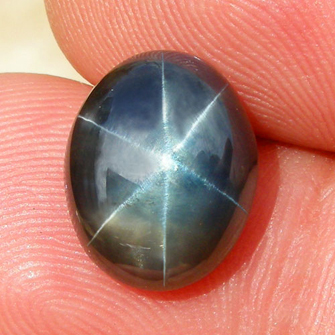 In this case, it has occurred at about 2 o'clock in the photo above - a perfect position to be covered/hidden by a prong. 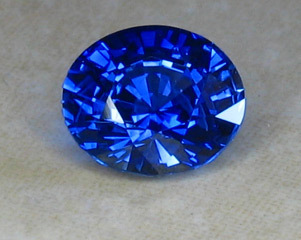 Other Sapphires/Rubys in stock have similar crystals that left small voids on the surface because they came out during the cutting; very typical. 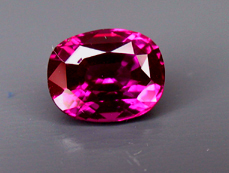 We have only noted this one as you can see it in the outline of the gemstone when louped or if one has very good eyesight. 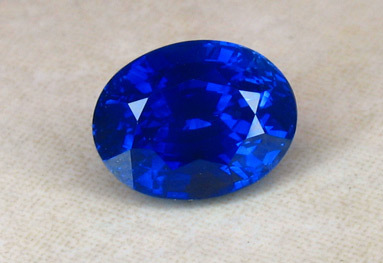 It does not affect this gemstone from being a Fine Sapphire. 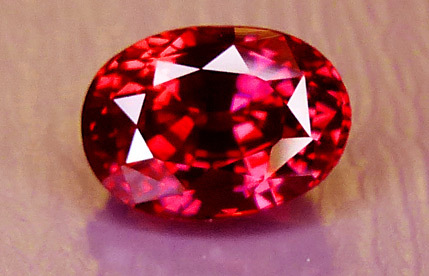 We have had this gemstone certed by GIA. 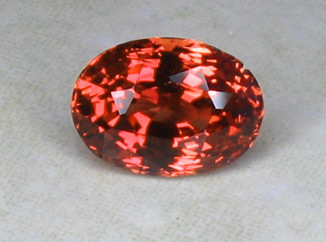 GIA's color description was reddish orange and it is UNHEATED. 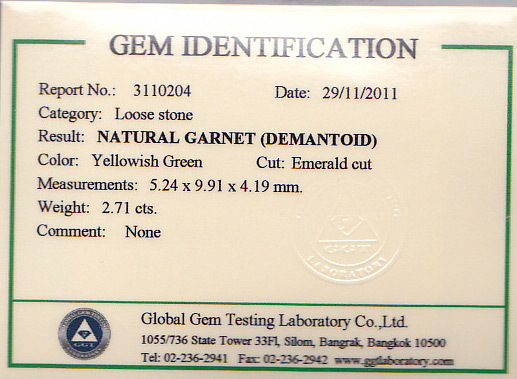 An Unheard of Rarity - 2.71ct Bicolor Demantoid Garnet - NEWLY CERTED! 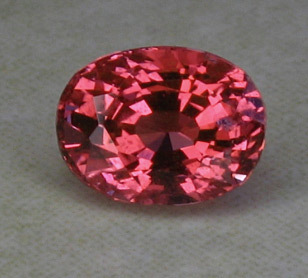 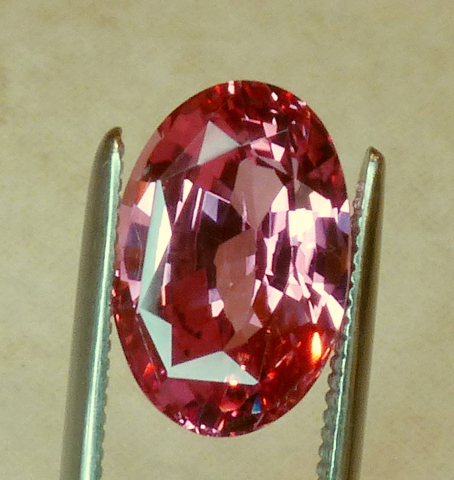 A uniquely colored bright medium Salmon Pink 1.34ct Oval Sapphire. 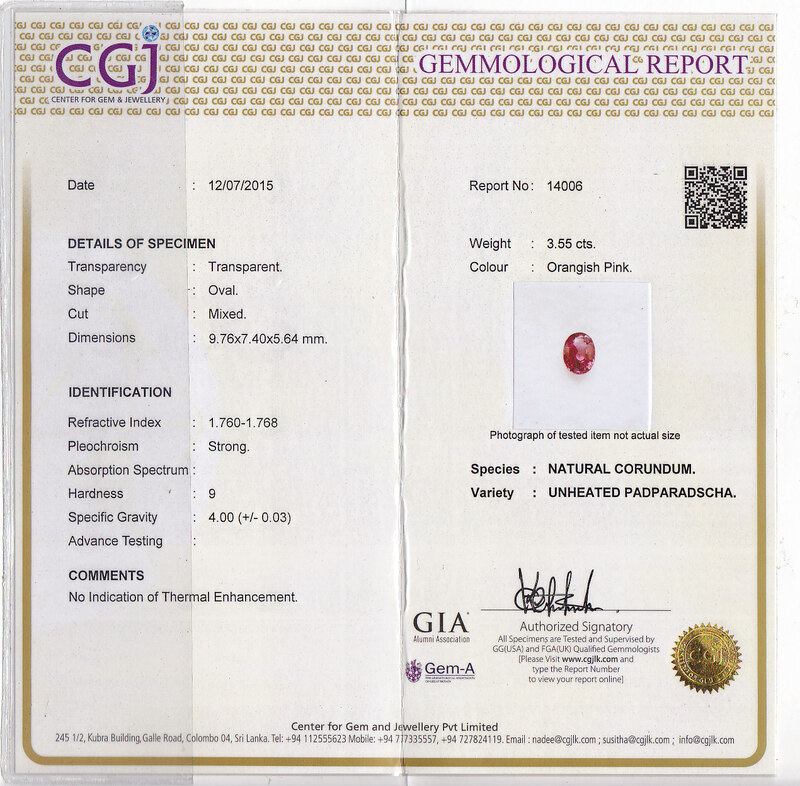 (Purchased as a Pad) $4,515 (egaj-11-47) A nice unique color which is better caught in the cert by GIA. 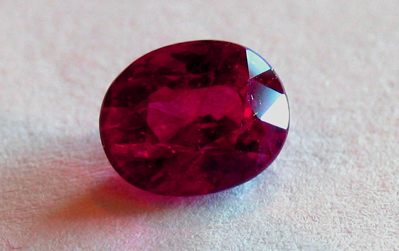 To quote the lab - " a very nice stone that munsell color chip matches to a pure red hue". 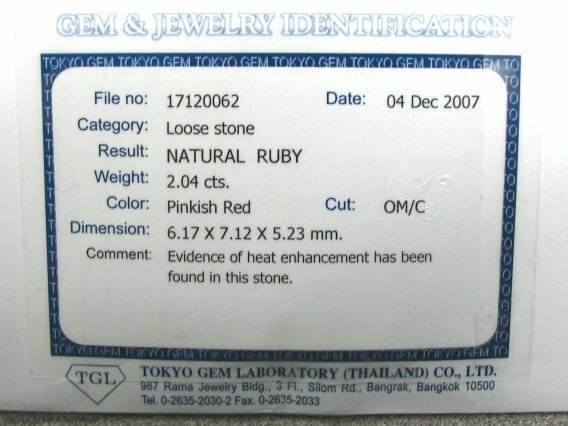 Tucson 2011 Update on Prices: We saw a few Burmese Rubies, just over 2cts, good color and heated. 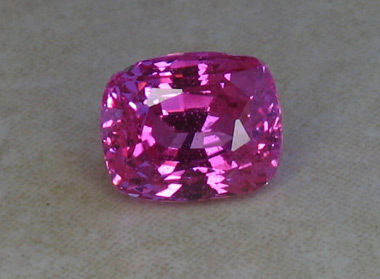 Our wholesale cost was from the NY dealer was $6,000/ct and the Russian business was asking $17,500/ct. 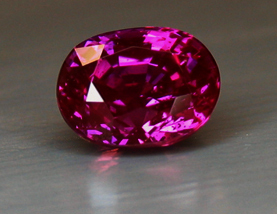 Note that Burmese Ruby can no longer enter the country because of an Embargo that went into effect in 2008. 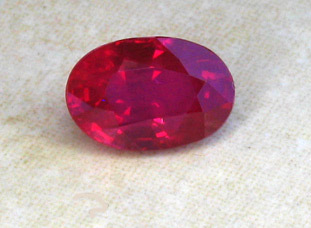 All of our Burmese Rubies were imported prior to that time. 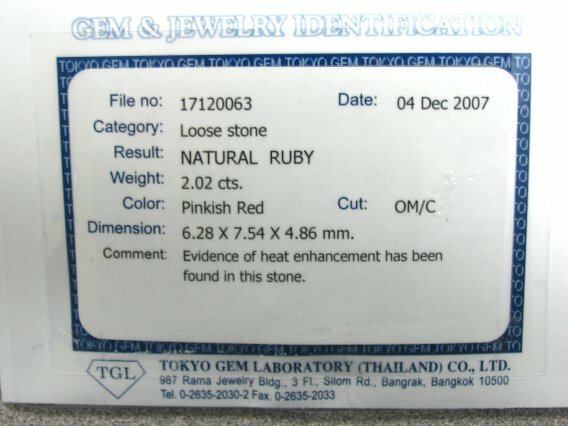 Fine Rubys Continue to Rise in Price...! 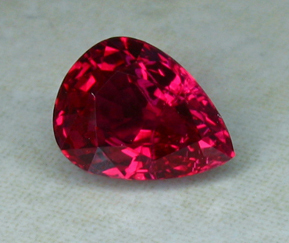 A very large Burmese Certed Ruby of Fine Color - 2.02ct! 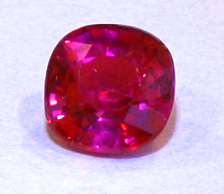 Color is a great Ruby Red, though the cert indicates a Pink Red. 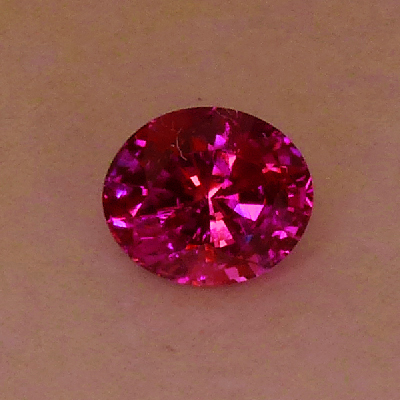 After seeing some of their color descriptions of Spessartite, Rhodolite and other gemstones certed by this lab, we are not concerned that they used the term Pink! 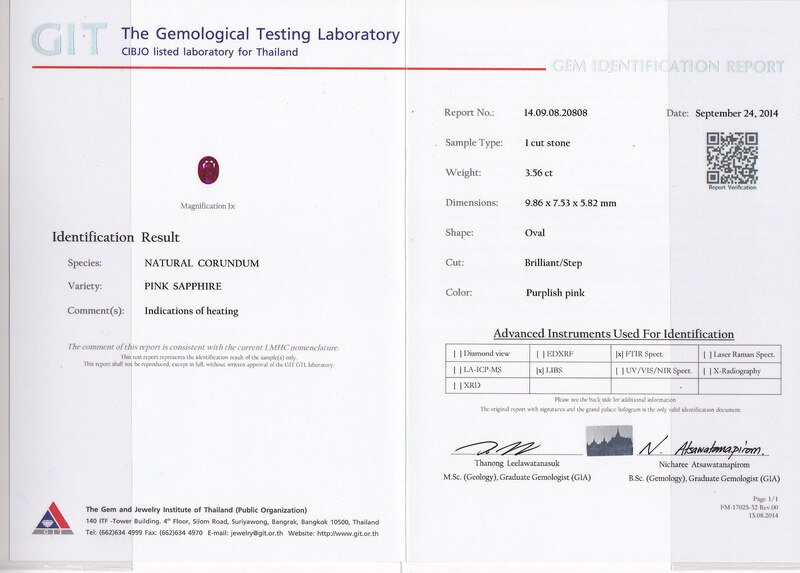 Certified - evidence of Heat but no evidence of fillers (which is rare). 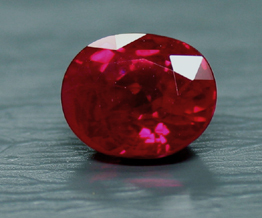 This is a fine example of Ruby and one would be hard pressed to find such a Ruby in any stores except those carrying high end fine gemstones. 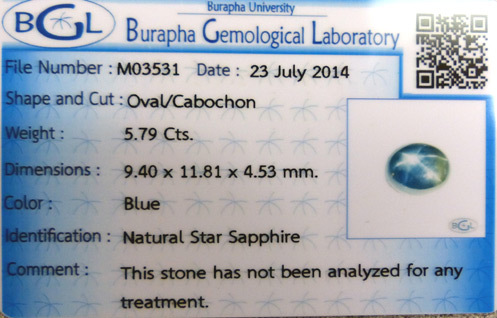 This is a gemstone that we would have offered to Tiffanys and a few other stores, but they are currently not purchasing any material with the name Burma associated with it. 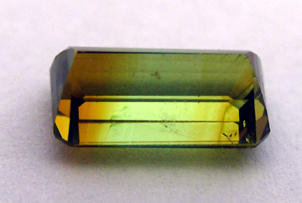 Many gemstones come across the border illegally and by-pass the government. 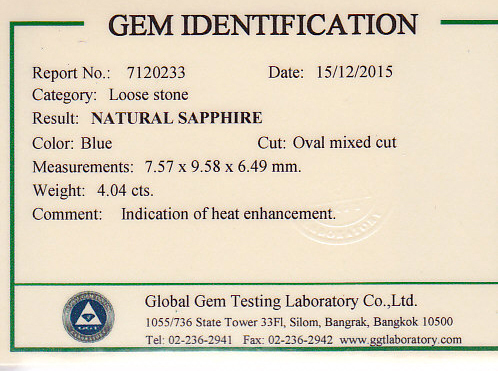 These gemstones therefore do not put money in to the pockets of a repressive government, but help those individuals who mine the material and are lucky enough to find and sell gemstones such as this. 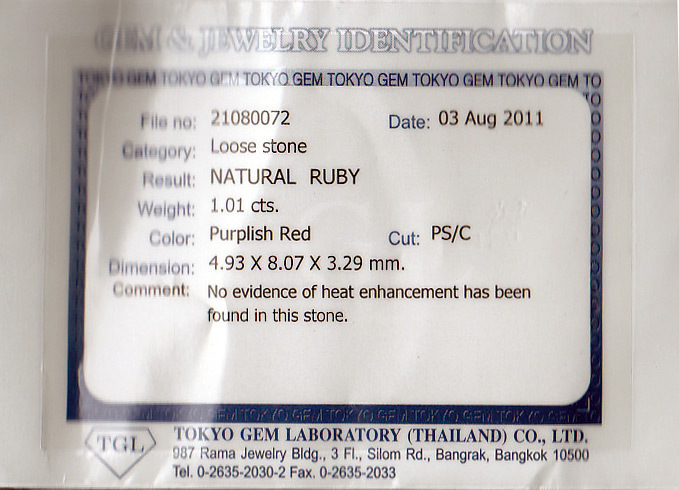 Our Burmese Rubys were purchased prior to the US Embargo on Bumerse Rubys. 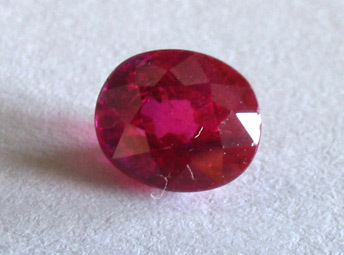 Color reproduction of red is difficult and we have had difficulty photographing all of our Rubies. 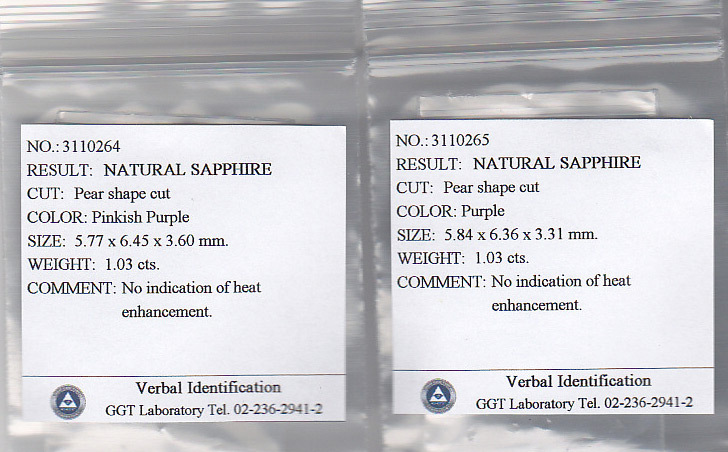 We do guarantee that the color is extremely fine! 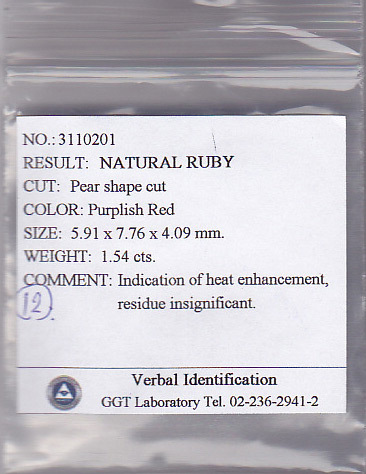 (Approx 7.54X6.28X4.86mm) (svd-07-02) $17,568 (Currently at or below wholesale) Fine Rubys Continue to Rise in Price...! 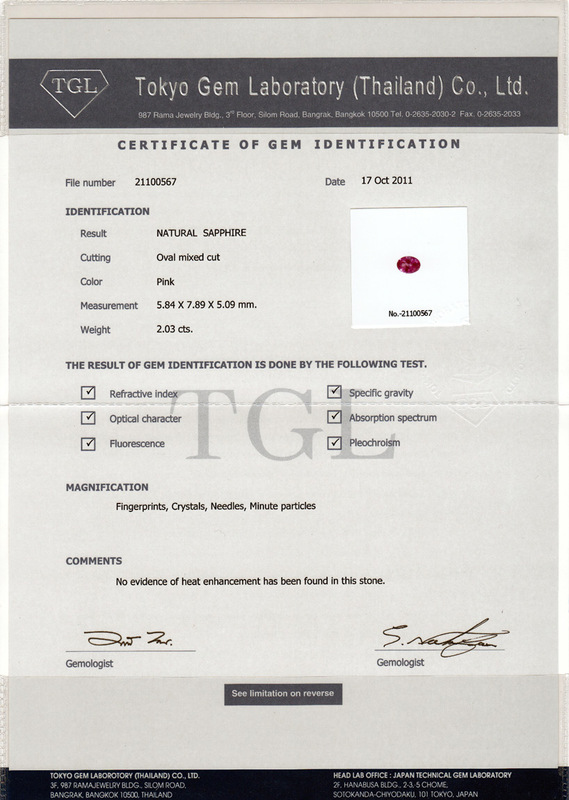 Certified 2.04ct Burmese Ruby. 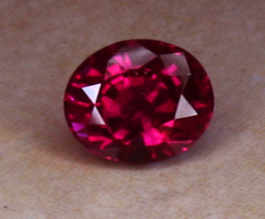 Color is a great Ruby Red, though the original cert indicates a Pink Red. 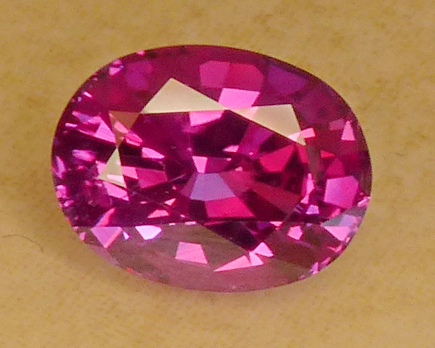 After seeing some of their color descriptions of Spessartite, Rhodolite and other gemstones certed by this lab, we are not concerted that they used the term Pink! 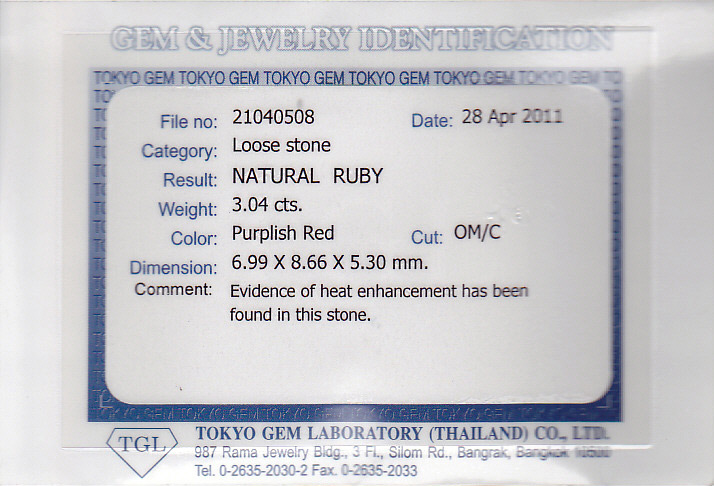 Certified - evidence of Heat. 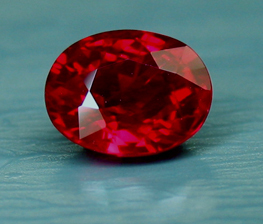 This is a fine example of Ruby and one would be hard pressed to find such a Ruby in any stores except those carrying high end fine gemstones. 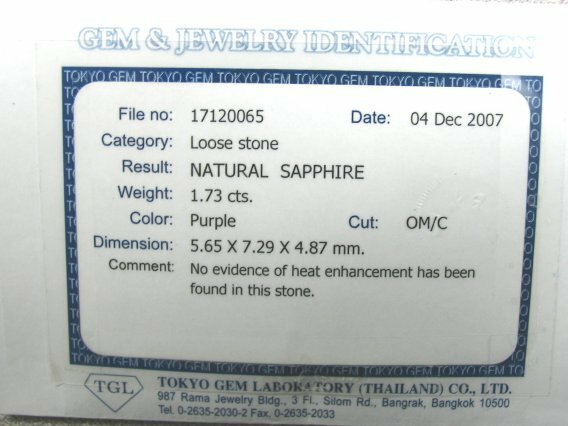 This is a gemstone that we would have offered to Tiffanys and a few other stores, but they are currently not purchasing any material with the name Burma associated with it. 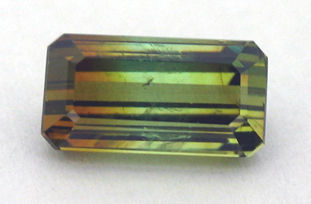 Many gemstones come across the border illegally and by-pass the government. 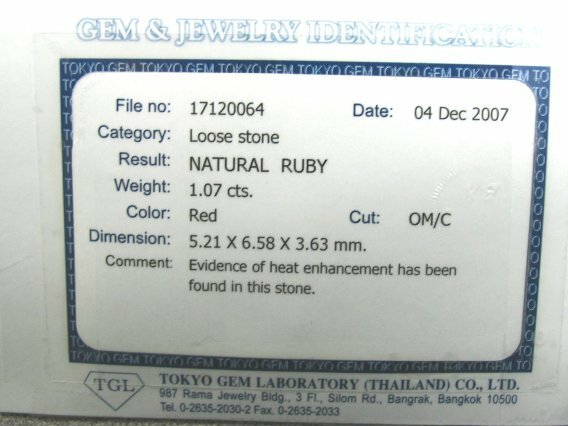 These gemstones therefore do not put money in to the pockets of a repressive government, but help those individuals who mine the material and are lucky enough to find and sell gemstones such as this. 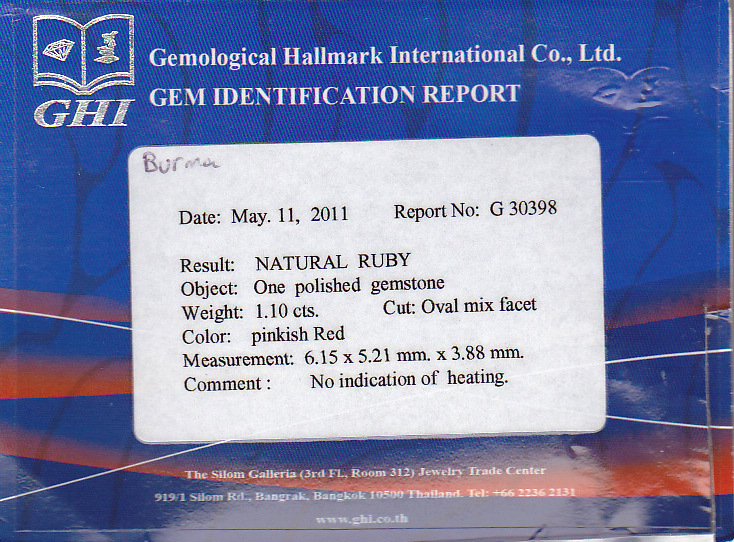 Our Burmese Rubys were purchased prior to the US Embargo on Bumerse Rubys. 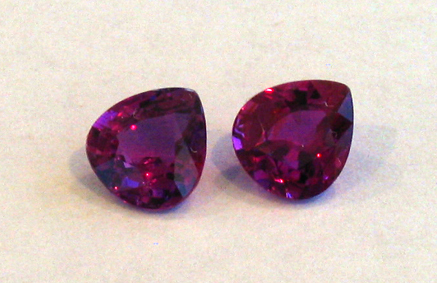 Color reproduction of red is difficult and we have had difficulty photographing all of our Rubies. 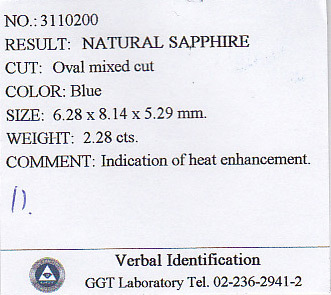 We do guarantee that the color is extremely fine! 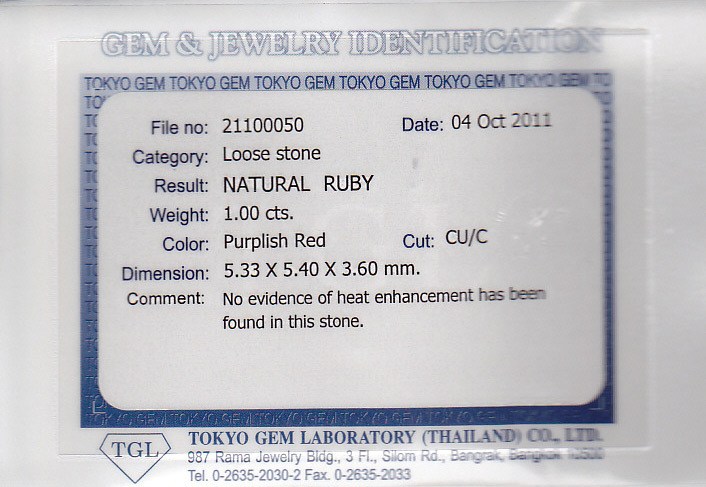 (Approx 7.12x6.17x5.23mm) (svd-07-01) $17,736 (Currently at or below wholesale) Fine Rubys Continue to Rise in Price...!